Panoramic double fairway views from the south-facing patio on this extraordinary Westbrook Village home. 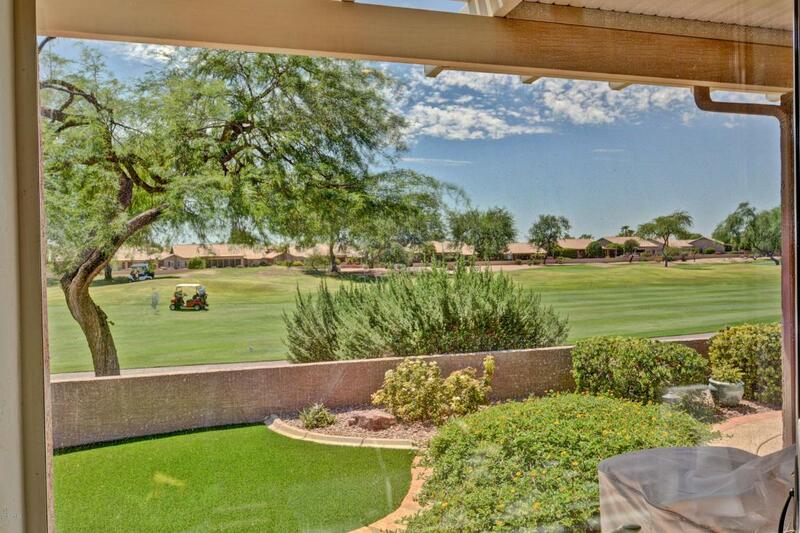 This one-of a kind golf course beauty is loaded with custom design features and tons of little extras. Move-in ready great room plan with split bedrooms is a rare find. 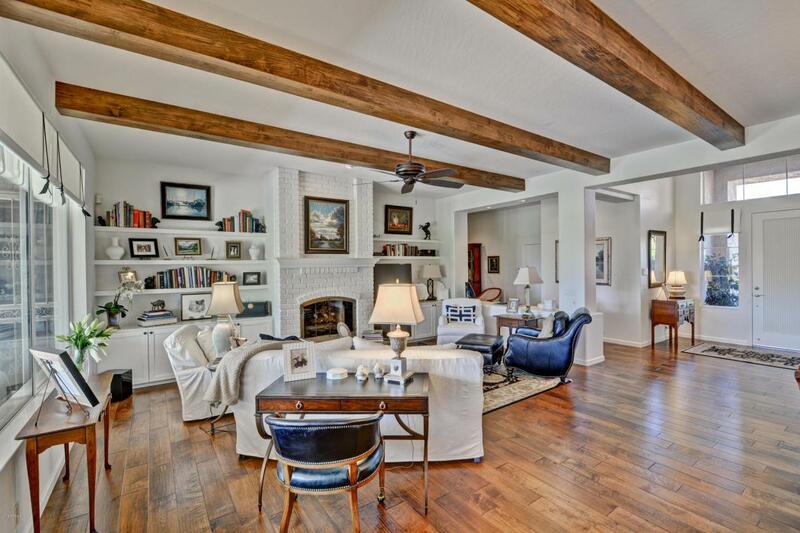 Wood-beam ceiling and gorgeous new manufactured wood flooring are a designers delight. Both bathrooms have been tastefully updated. 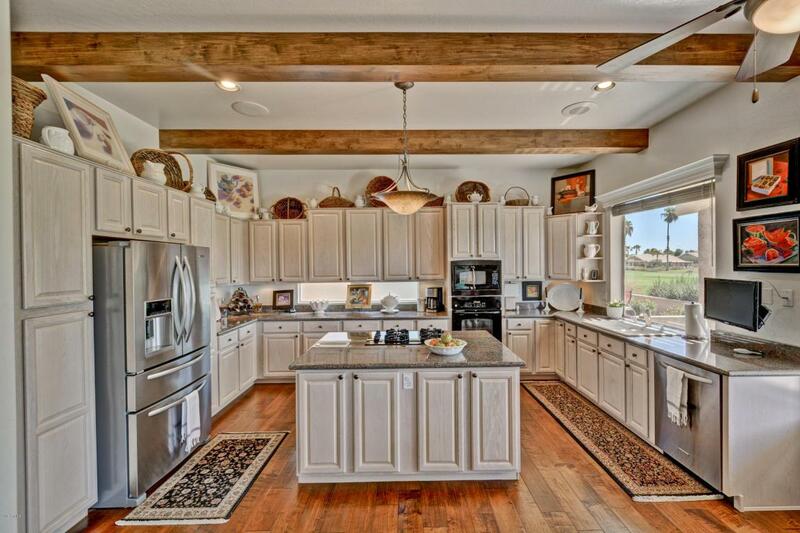 Kitchen upgrades include granite counters, gas cook-top, wall ovens, and updated appliances. Gas fireplaces inside and out for the cold winter evenings. 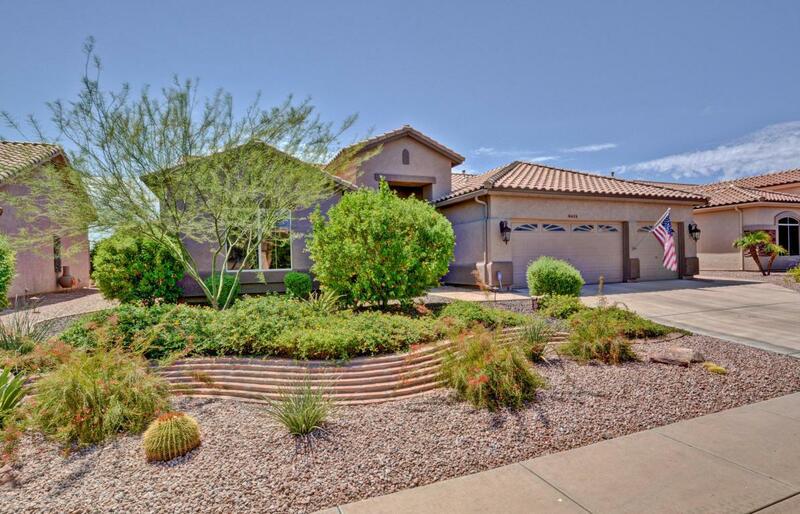 Custom designed patio and sidewalks and professional low-maintenance desert landscaping. Dual-station office with cabinets. Garage has been extended and features built-in cabinets.Some furnishings available outside of escrow.